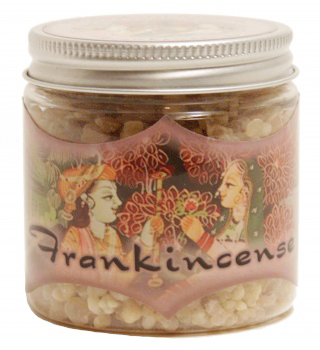 Frankincense resin incense creates a sacred atmosphere that enhances meditation, reduces stress and tension, and uplifts one spiritually. It heightens the awareness of spiritual realms that may lie hidden within the physical. Frankincense has been continuously used for over 3,000 years in magical and religious ceremonies and deepens any religious experience. It focuses spiritual consciousness and evokes the potential for transcendent awareness.